The Grand Bugapest Hotel + Crafting with Nature Book Giveaway! When I was a kid my mom would take me to the library at the beginning of summer where I would check out all the books I could find on nature crafts. Then for a few weeks I would take my books outside and try out all the projects that caught my eye. When my friend Amy at A Nest for All Seasons told me she was writing a book called Crafting with Nature it was like she was writing it just for the little girl in me. So, today I’m excited to offer you a Crafting with Nature book giveaway along with a fun DIY project for your kids this summer! Before we get to the giveaway let me present to you The Grand Bug-a-Pest Hotel! 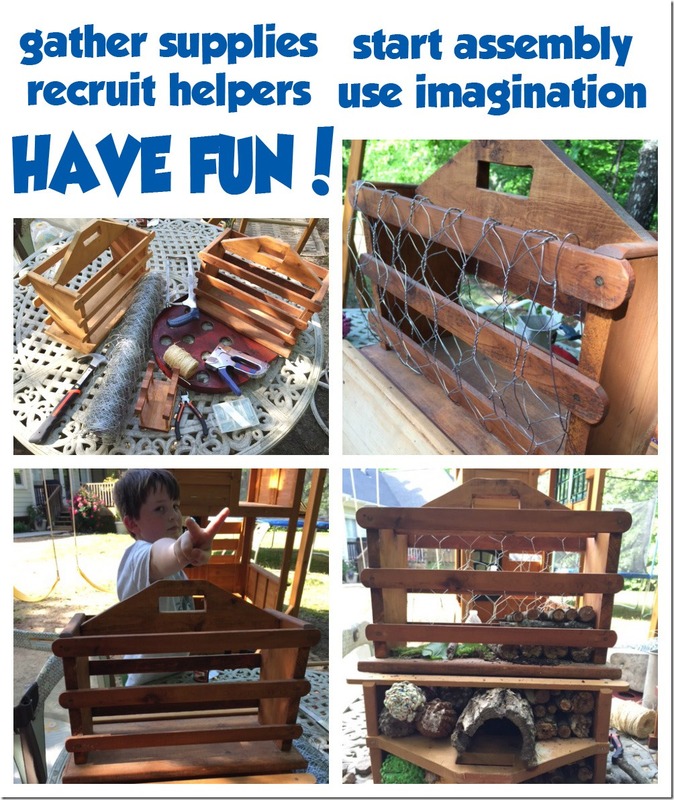 Summertime is right around the corner, so here’s a fun summer project for those long days when the kids are bored and begging for things to do. Make a bug hotel for your backyard! 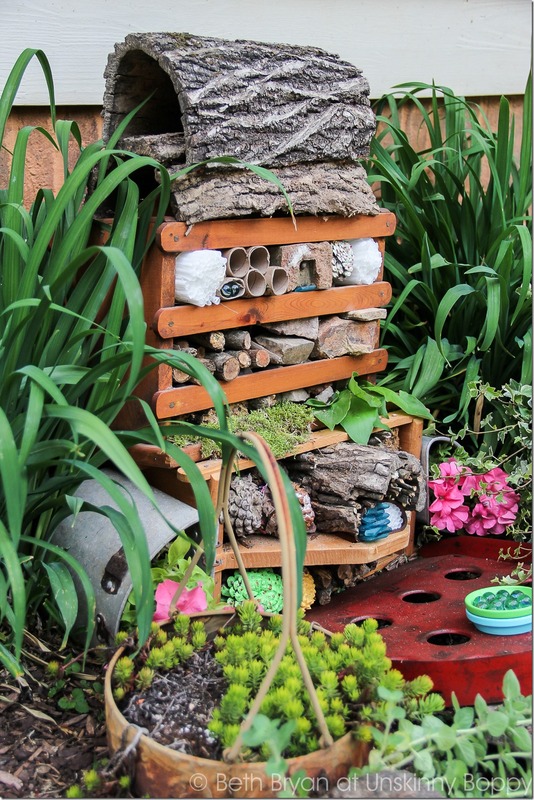 I first stumbled upon these Insect Hotels or “Bug Condos” at some of my garden friend’s blogs last year. These little bug houses are all the rage right now, so why not join the fun? 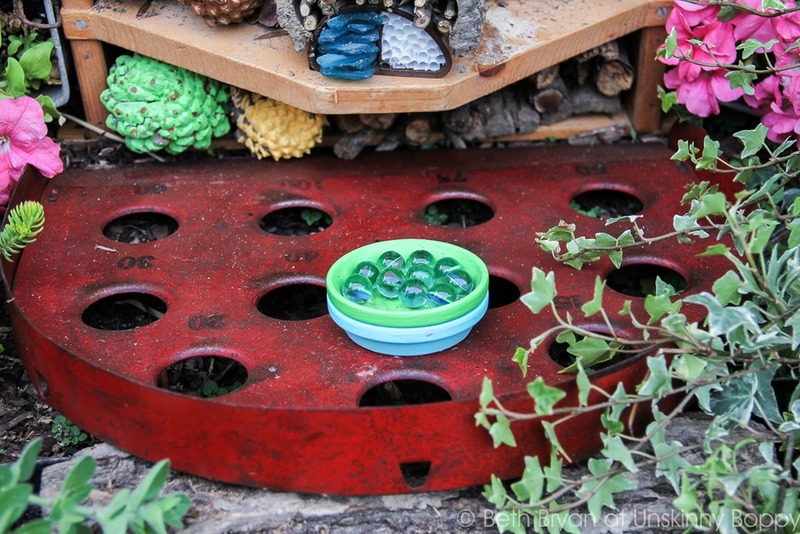 I fell in love with this idea of creating a cute place for the good bugs to have a home in our garden. So what exactly is a Bug Hotel? Well, there are tons of beneficial bugs and bees that help our gardens grow. 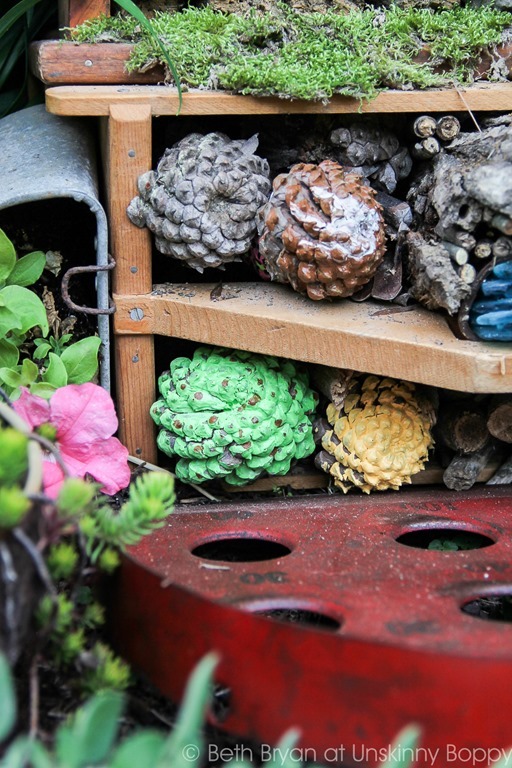 From ladybugs to worms and even spiders—the creepy-crawlies need a place to shelter somewhere near your garden, especially if you have a small or well-maintained lawn without many natural areas. This Bug Hotel gives these little garden defenders plenty of places to hide and stay safe from the things that like to eat them. That way they can keep chowing down on the things that they love to eat, like flies and mosquitoes and gnats. Remember the circle of life, y’all. My mom and Garrett had fun decorating these pine cones to look like ice cream cones a few months back, so we stuck these inside to give the hotel some color. Garrett dug up some moss to carpet the 3rd floor of the hotel. We also planted some petunias next door to help repel some of the “bad” bugs like aphids and tomato hornworms. Can you guess what we used for the arched “window” filled with sea glass and straws? It’s a Nutella snack pack leftover from Garrett’s lunch. It’s the perfect shape and has a divider built right inside. We poked a bunch of tiny little sticks and twigs around it underneath the bark dormer. The base of flower pots provide a tiny little watering hole that won’t attract too many mosquito larvae in standing water. And the red patio entrance? That is an old golf game we found at a junk store a while back. My mom painted this cute clothespin concierge to greet the customers. If you and your kids love all things Fairy Garden related, this Bug Hotel will be right up your alley. This was a super fun and CHEAP project that took the better part of a day to create, so use your imagination and make your own. If you want a whole lot more great ideas for screen-free summertime fun with the kids, be sure to check out my friend Amy’s book Crafting with Nature! Amy of A Nest for All Seasons has been one of my favorite gardening guru for years, and I am so in love with her amazing ideas in this book. I even got mentioned in the book, so be sure to look for my name in the “What People are Saying” page when you pick it up! 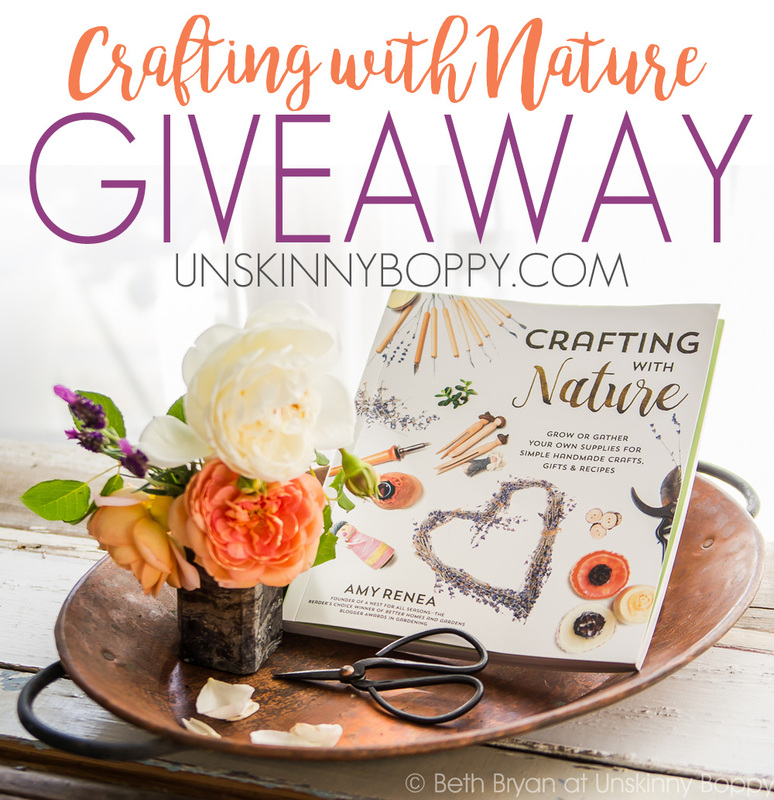 You can buy a copy of Crafting with Nature on Amazon, or you can enter to win a copy today in this awesome GIVEAWAY that Amy and her publisher has so graciously offered to my readers! 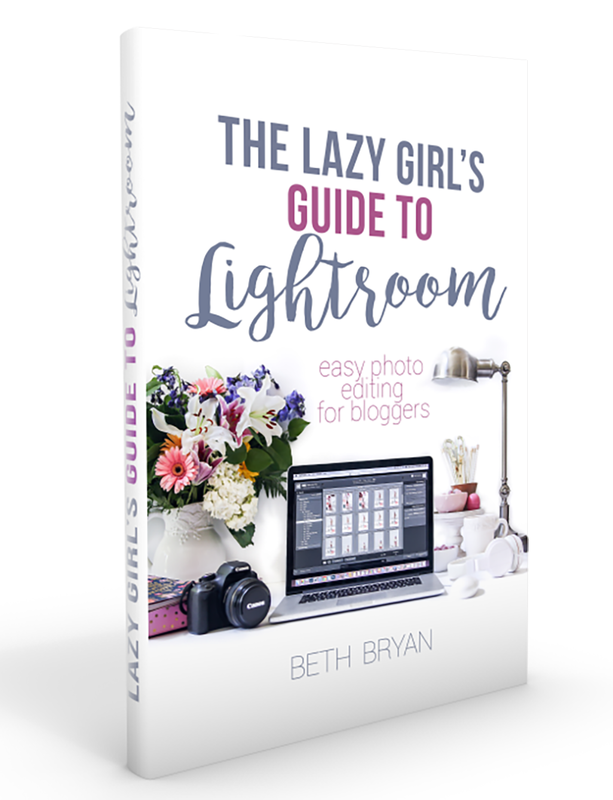 TO ENTER THIS GIVEAWAY, simply enter the Rafflecopter right here! Good luck and happy nature crafting, y’all! Like this post? 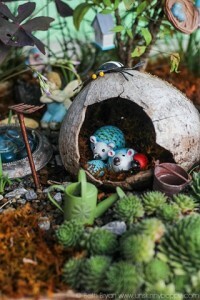 Click any pic below to see other great fairy gardening ideas for kids! This book looks fantastic. I hope I can find a copy. I loved your ideas. Thanks for sharing. Too cute. What a great project to do with kids this summer. What a great idea! 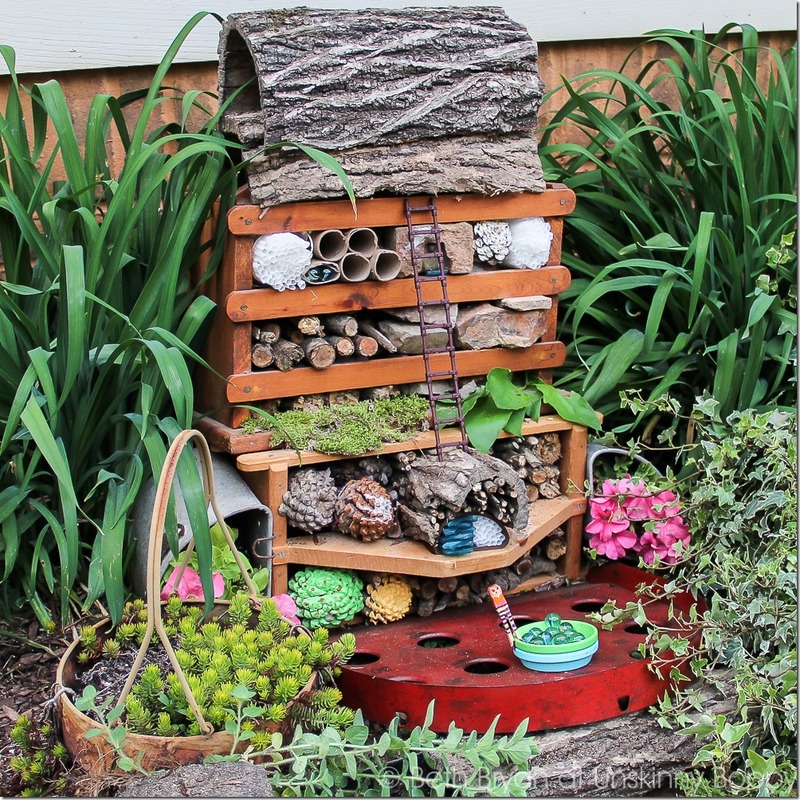 Your bug hotel turned out super cute and I bet it was super fun to build with your Mom and Garrett. Thanks for sharing. This is adorable. My grands will love this. This looks like so much fun! Thank you for the opportunity to win! 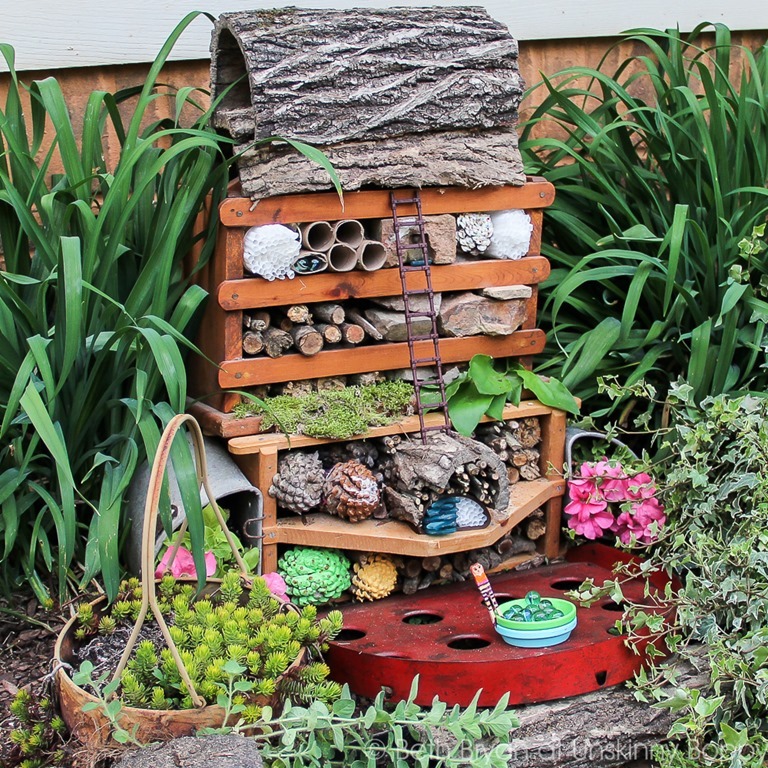 That is is like a bug mansion – very awesome! And I just love the name, lol! I’ll be looking for this book! We live in the forest and have loads of natural craft materials. Wow!! My daughter would LOVE to help me make some new crafts. Thanks for the neat ideas. 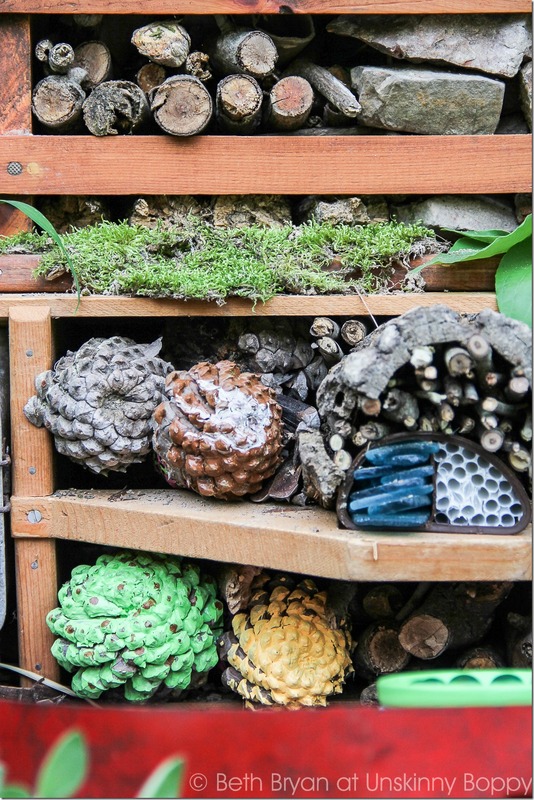 The Bug Hotel is so cool! Would love to check this book out. 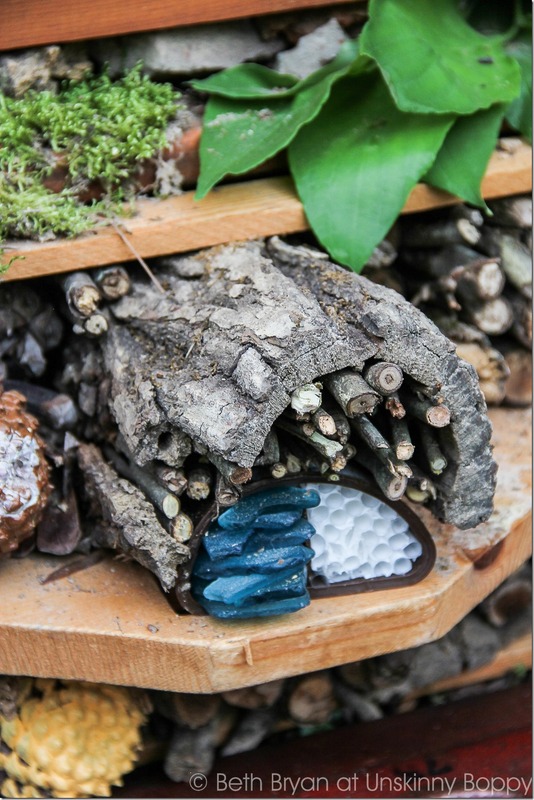 I am 100% positive that this is THE fanciest bug hotel I have ever seen. I am impressed! So much awesomeness in this type of crafting!!! That bug hotel is adorable. What an awesome idea!!! I would love to make one of those. 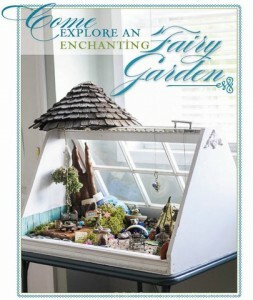 This looks like a great book especially since I like using nature as my craft store. i love nature crafts! This looks like a fantastic book. 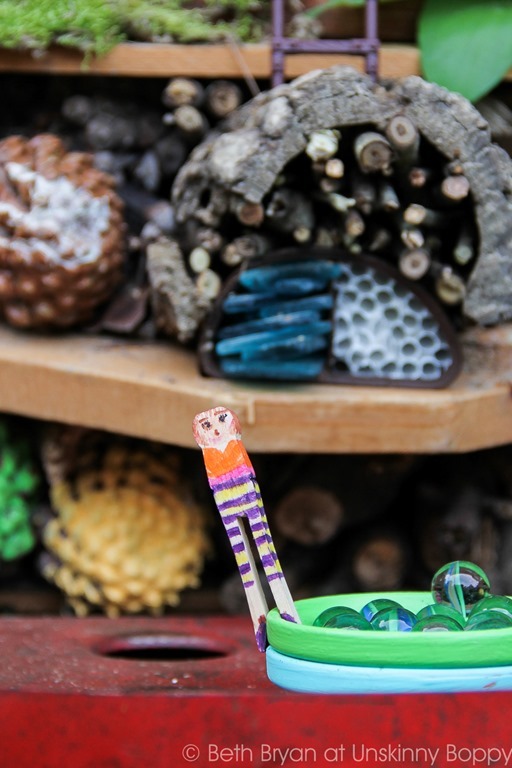 i love the little bug hotel, so cute!! thanks for the chance! This book looks fantastic. I love these ideas. Just yesterday, my daughter and her BFF spent hours playing in a natural play area at our local Nature Center. I’d love to bring some of that into our own backyard! 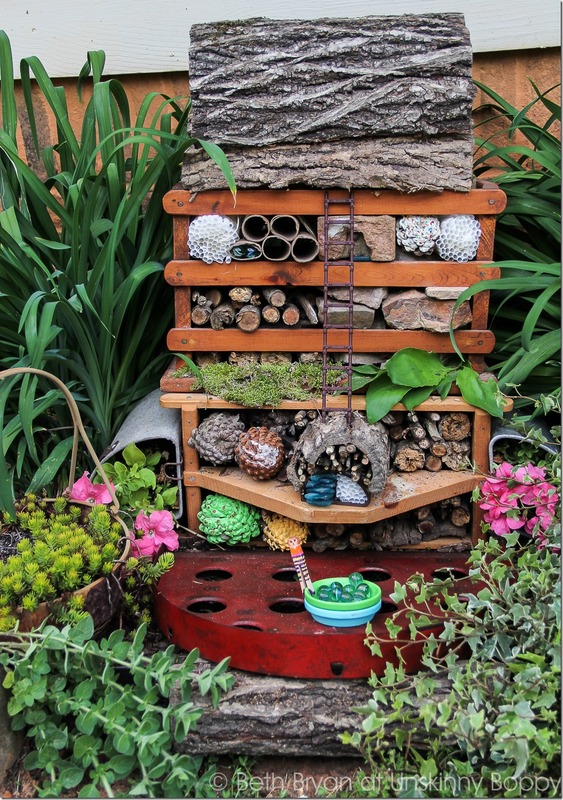 My kids and nieces and nephew would have a blast making the bug hotel. We will definitely be making this soon. We enjoy making gnome homes. Oh what a fun book for summer!! We need this!! Thank you for the chance! 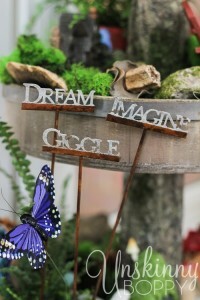 I love the idea of using things in nature to decorate! It is the ultimate in decorating GREEN! I have a certified wilderness habitat in my backyard and I love the little creatures who comes and play. 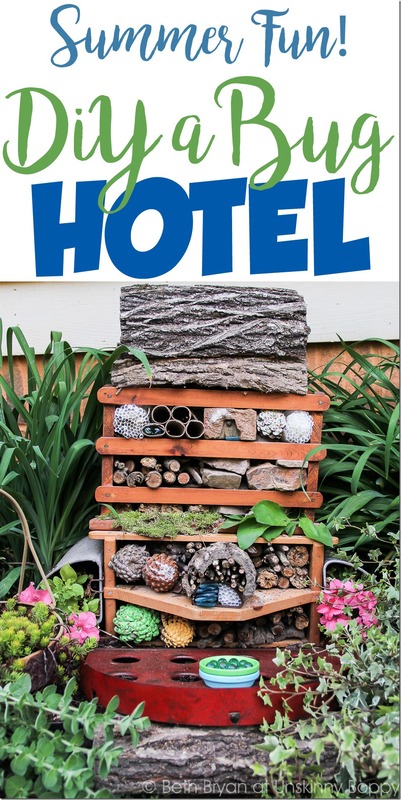 On my list, this summer is to make a bug hotel so I am bookmarking your site. Thanks also for awesome giveaway and I now follow you. What a great use of hollowed out logs. I know what I’ll be doing this weekend…I have a hotel to build. What a great idea!